What is Synadrene by Hi-Tech Pharma? Do you remember the impact that Synedrex made on the supplement industry? Were you lucky enough to experience the benefits of the original Synedrex formula? Don’t you wish that you had another chance to use it to achieve your goals? If you were a proud user of the original and incredible Synedrex, we know and understand how upset you must have been once it was discontinued. For years, users of Synedrex searched far and wide to find something that compared but nothing ever did. After all this time, the original formula of Synedrex is back. Introducing Synadrene by Hi-Tech Pharma. 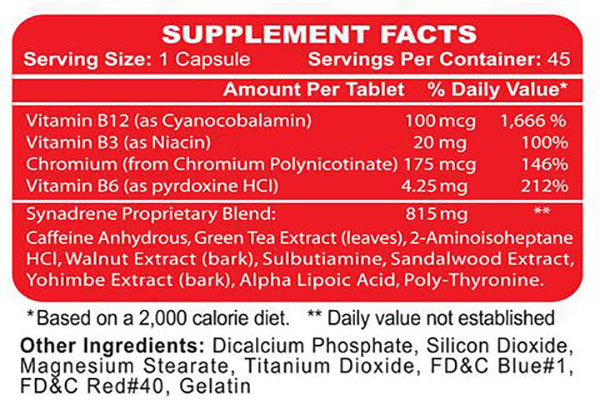 Synadrene by Hi-Tech Pharma is the thermogenic wonder that you’ve been waiting for. Harnessing the original formula power of Synedrex, this ground breaking fat burner and energy booster from Hi-Tech Pharma is going to help you achieve your fitness goals. Get ready to relive the past with Synadrene by Hi-Tech Pharma. Who is Synadrene by Hi-Tech Pharma ideal for? Why is it effective? 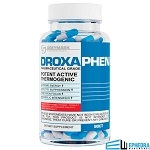 Synadrene by Hi-Tech Pharma captures the amazing thermogenic effect of the original Synedrex formula, making it ideal for anyone who wants to burn more fat, have more energy, or achieve higher results. Due to its incredibly powerful thermogenic formula, Synadrene by Hi-Tech Pharma is only recommended for experienced users. If you want to use Synadrene but you have a past history of sensitivities to caffeine or other thermogenics, it’s best to start with HALF the recommended dose to assess your tolerance. For those who have never tried Synedrex in the past, you’re probably wondering what makes it so special. The short answer is a scientifically proven, energy igniting formula. 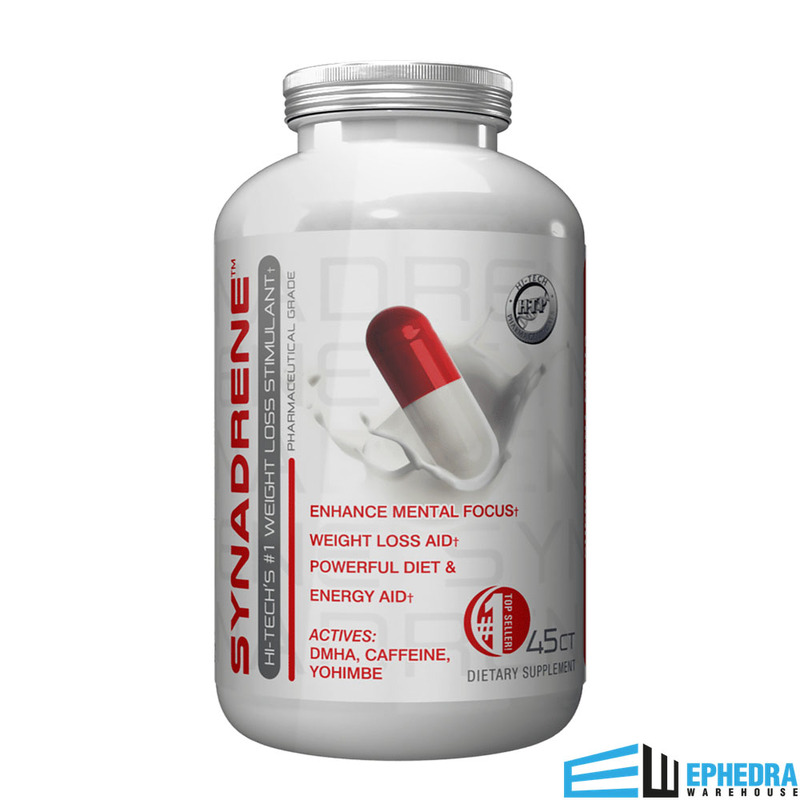 Capturing that same formula from Synedrex, Synadrene by Hi-Tech Pharma is tapping into the power of some very hard hitting thermogenics, making it an ideal supplement to support weight loss and fitness goals. What are the benefits of using Synadrene by Hi-Tech Pharma? 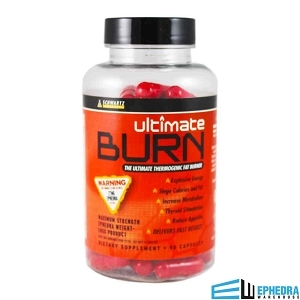 Hosting a variety of scientifically proven ingredients, Synadrene by Hi-Tech Pharma can provide a number of benefits related to your muscle building, fat burning, and energy enhancing goals. Why waste money on low grade, low power thermogenics when you can get your hands on a blast from the past? Synadrene by Hi-Tech Pharma has restored the original formula of one of the industry’s heaviest hitters in the thermogenic category. The intense ingredients that you’ll be getting in every serving are exactly what your body needs in order to sky rocket your energy levels, amplify your metabolism, and achieve your fitness goals. 2. Ostojic SM. Yohimbine: the effects on body composition and exercise performance in soccer players. Res Sports Med. 2006 Oct-Dec;14(4):289-99. 3. Rafael Franco, Ainhoa Oñatibia-Astibia, and Eva Martínez-Pinilla. Health Benefits of Methylxanthines in Cacao and Chocolate. Nutrients. 2013 Oct; 5(10): 4159–4173.